I have a new friend named Roy who has been kind enough to share a lot of delicious wild game meat with me lately. 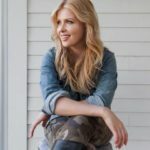 It has given me a chance to experiment with all kinds of new recipes, and this is one that I am excited to share with you. 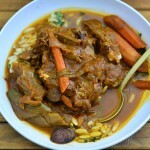 Wild boar is one of my favorite wild game meats, it can be turned into so many heavenly recipes. This is a one pot wonder, simple and easy but sure to satisfy your wild taste buds. 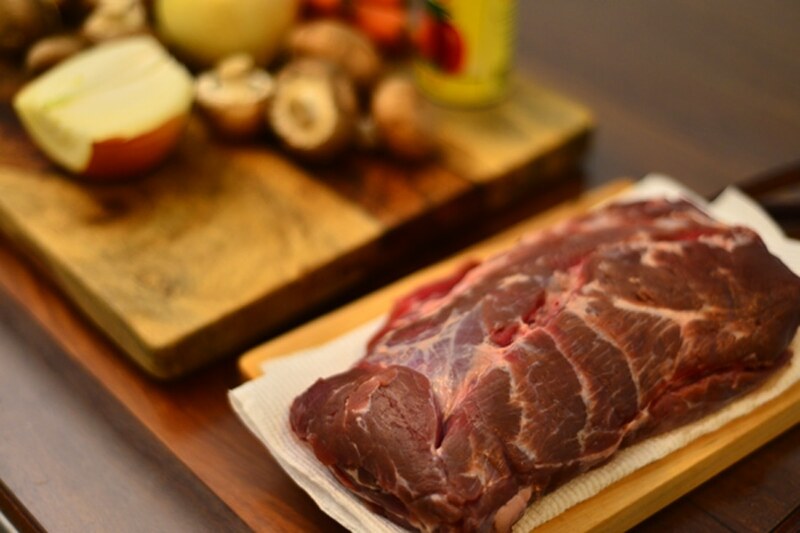 Begin by preparing your wild boar roast. 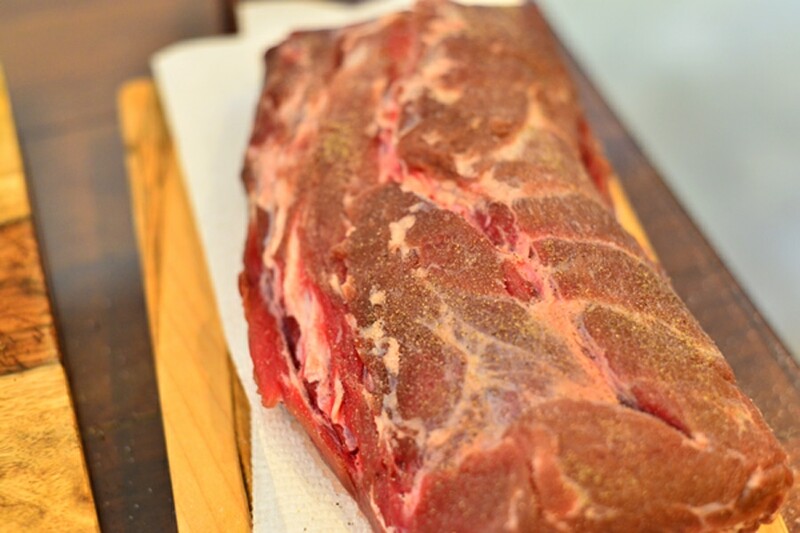 Set the piece of meat onto a paper towel to dry it well. This will help it brown. Then generously season with salt and pepper on all sides. Meanwhile, prepare your leeks and peel and cut your carrots and mushrooms. 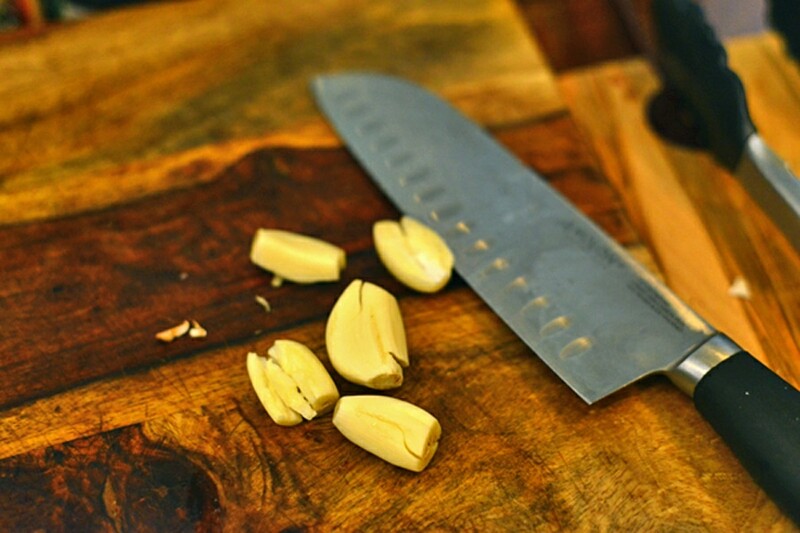 Using the flat side of a knife, smash the garlic cloves. In a large, heavy dutch oven or pot, heat a tablespoon of grape seed oil over medium high heat. 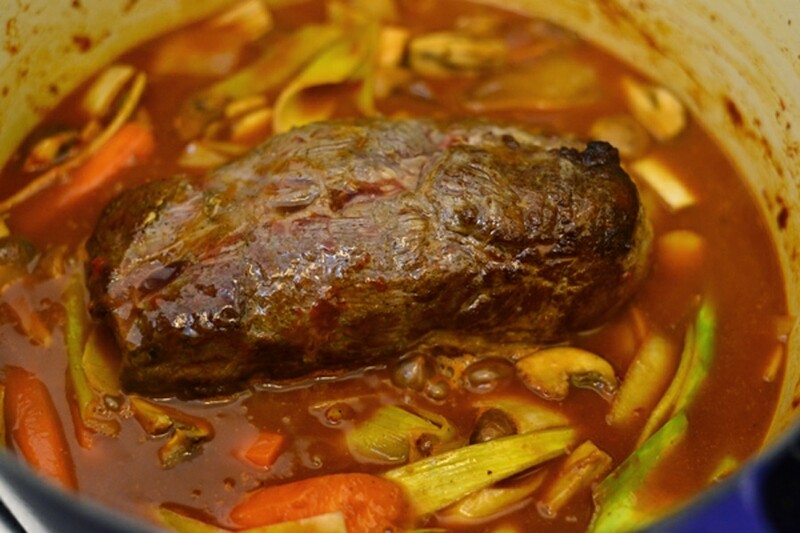 Place the wild boar roast into the pot and brown for several minutes, then flip and cook for an additional 3-4 minutes. Remove from pot and set aside. 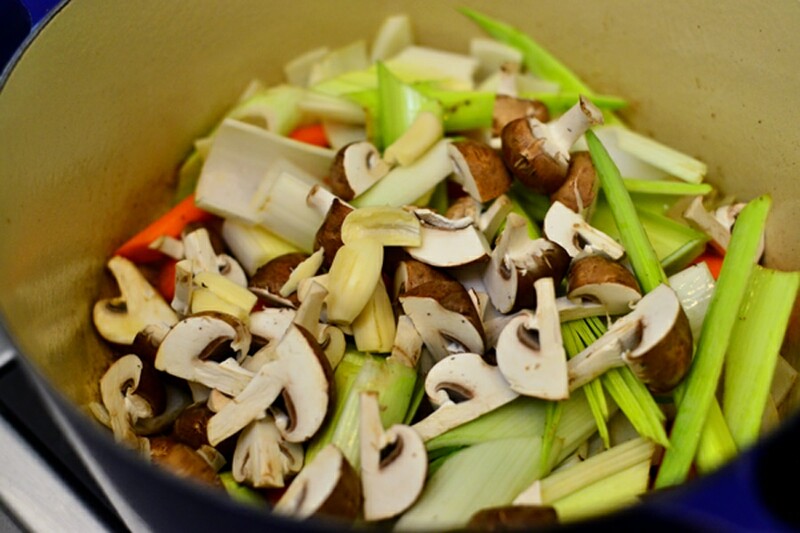 Add an additional tablespoon of oil and toss all of your vegetables into the same pot. Sprinkle with salt and pepper. 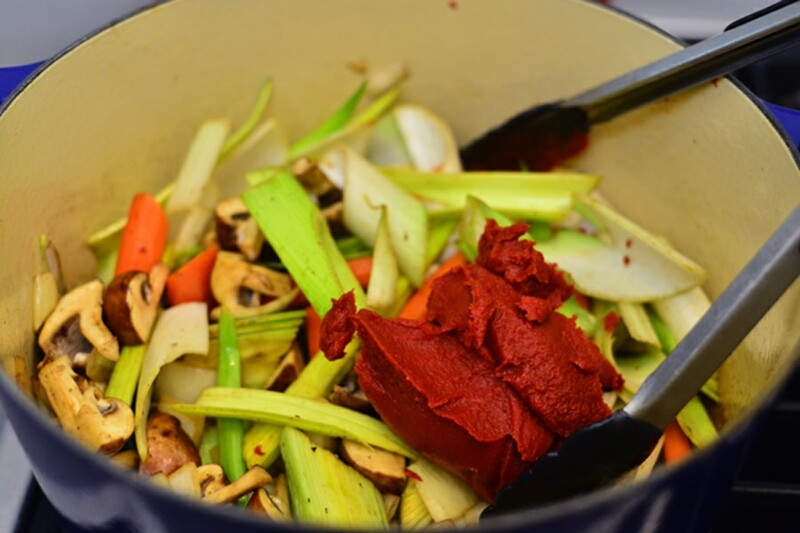 Next, add the tomato paste and stir it thoroughly to coat the vegetables. 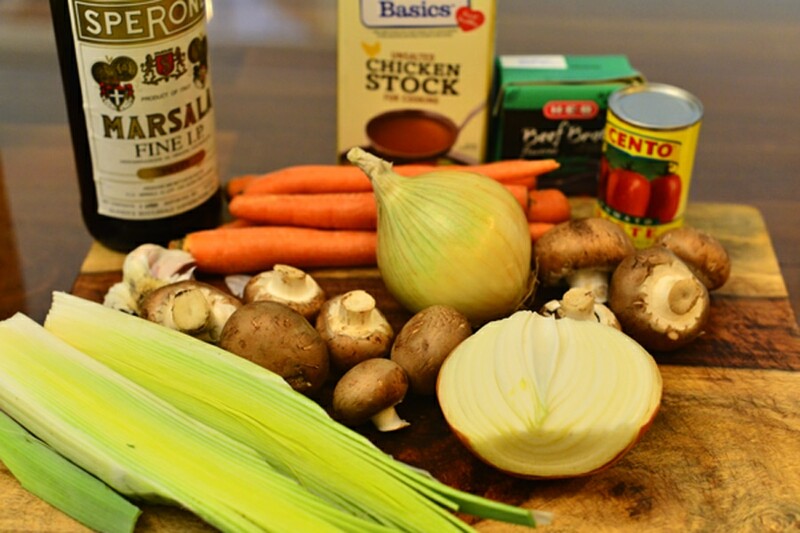 Then add the Marsala wine, beef broth, and chicken stock. 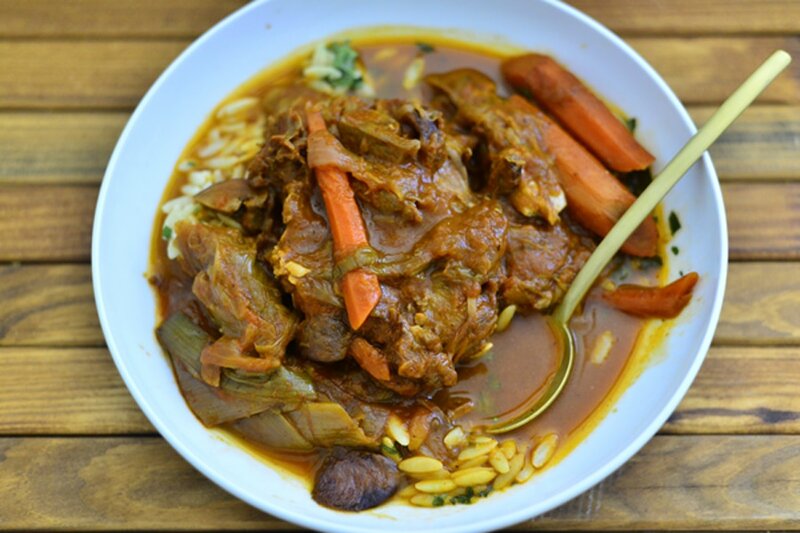 The Marsala wine gives this stew an earthy, sweet, and tangy flavor. Use your wooden spoon to scape the brown bits from the bottom of the pot. Nestle the wild boar roast back into the pot. Cover partially and simmer on low for about 4-5 hours, stirring occasionally. Once the meat is tender and easily falling apart, prepare orzo or another pasta, even rice would be wonderful. Then ladle the stew on top. Enjoy! It’s such an easy dish and freezes well if you can’t finish it all in one week. The best part is that it will taste better the second and third day so be sure to save it as leftovers as well. Set the wild boar onto a paper towel to dry it well. Generously season with salt and pepper on all sides. 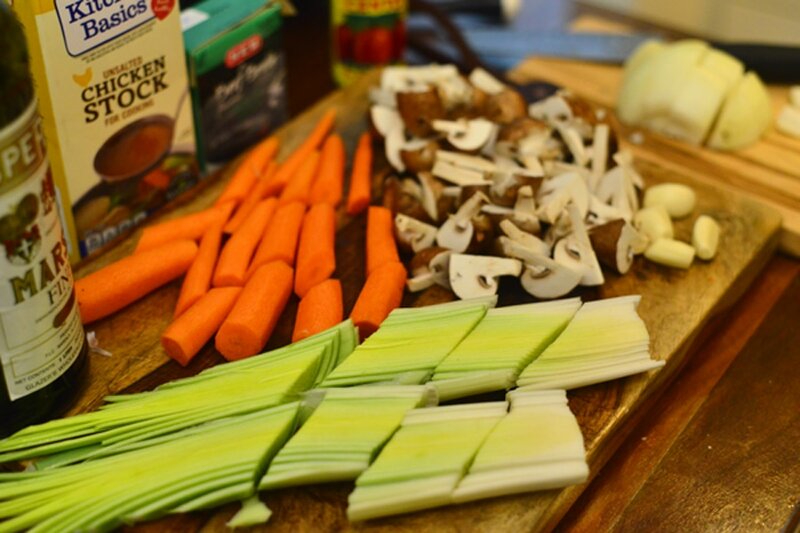 Cut up all the veggies and smash the garlic cloves with the flat side of a knife. 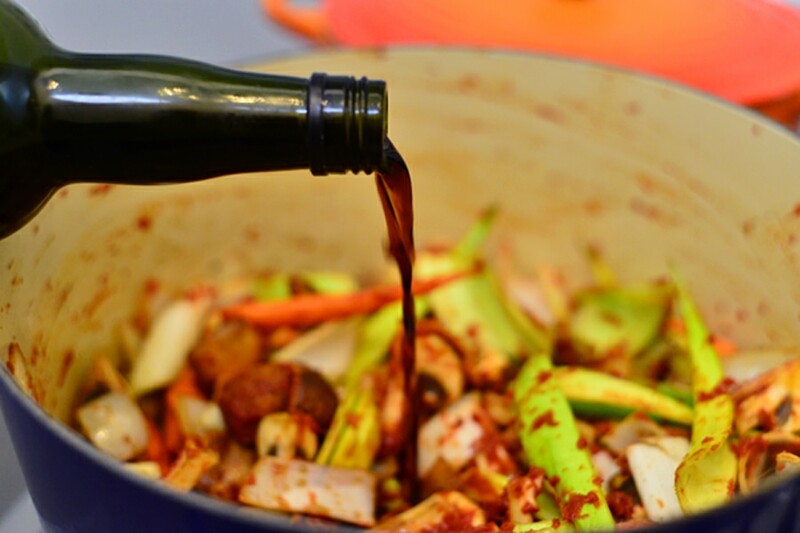 In a large pot, heat a tablespoon of grape seed oil over medium high heat. 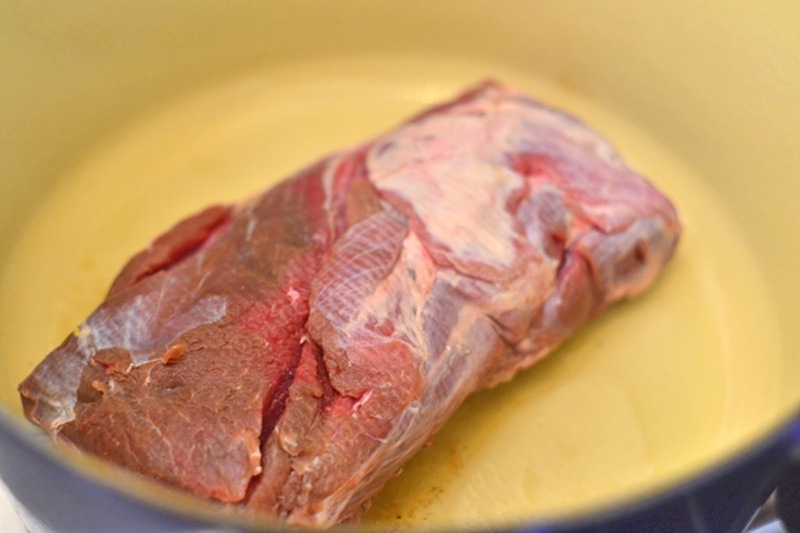 Brown the boar for several minutes, then flip and cook for an additional 3-4 minutes. Remove from pot and set aside. Stir in tomato paste to coat the veggies. Add the Marsala wine, beef broth, and chicken stock. Scrape the bottom of the pan while mixing. Nestle the wild boar roast back into the pot. Cover partially and simmer on low for about 4-5 hours. Once the meat is tender and easily falling apart, prepare orzo or another pasta. Then ladle the stew on top. You did that pig proud! Bet there were no leftovers. Im chaSing hogs next week; need another? Always! Look forward to hunting with you soon Roy! Hogs were not cooperating last week. Trying again Monday and Tuesday. Need a big ‘un for the Alamo Area Master Naturalists graduaton ceremony in 2 weeks, and maybe one for Miss GeorgiA. I’d like to try this sometime this week. I’d be using a relatively small bone – in shoulder and/or Picnic roast. And I’d like to brown it on the stove top and then finish in the oven. What temp and cook time would you suggest?